It is widely known that Turkey’s history dates back to ages ago. I am not talking about Ottoman Empire here, what I mean is way before Ottomans came to this land. Back then, there was neither Turkey nor Ottomans. It was a rich land called Anatolia. The land was rich with resources and good for farming, hence many people decided to settle down for good. The earliest settlers were living in Antalya Karain Cave back in Palaeolithic Age (….8000 BC). They haven’t settled down, actually. They were hunter-gatherers and not farmers. Their tools from stone and bones are being displayed in Museum of Anatolian Civilizations in Ankara. Neolithic Age (8000-5500 BC) saw the first settlers and farmers. Agriculture began and villages appeared. Çatalhöyük is one of the most famous settlements from this age. What is more interesting than the fact that agriculture began was that people believed in a Mother Goddess: Kybele. There are many other settlers in between, but we will skip to ancient Anatolian traders: Assyrians. Writing first emerged in this period and there was already a trade network. No money, though. We will get to that in the following section. Near Kızılırmak River, first political union of Hittites was established. This marvelous civilization was very advanced. 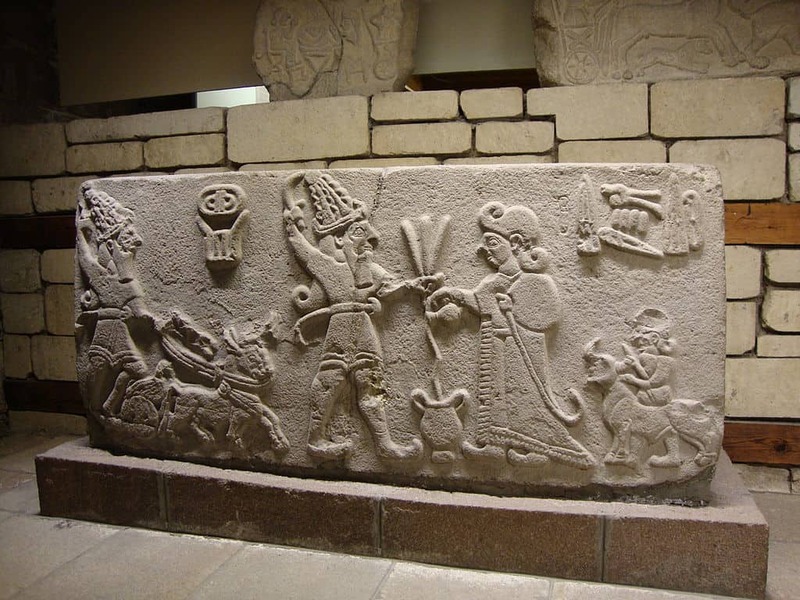 Hittite civilization was advanced that they made the first peace treaty in the whole world. Interesting, ha? There were Urartuans, as well, who were very good at architecture and mining. They lived in East Anatolia and some of their amazing architectural masterpieces can still be seen. Lastly, there was Lydians whose art is very famous. But more than their artistic abilities, their contribution to trade was very important. Yes, they are the ones who invented a currency system. They found money and immediately trade became very different and got closer to what we know today. Which civilization was the first one in having a peace treaty with another civilization? Which civilization was particularly good at trade before money was invented?